Set by the beach, this well-equipped hotel features free Wi-Fi. 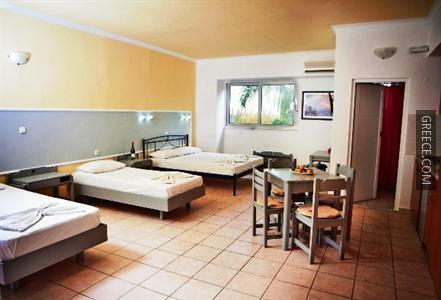 The hotel is only a short walk from Faliraki Beach. The hotel has 10 rooms and has been recently refurbished. The hotel also provides family rooms, a ticket service and a currency exchange. Guests of the Falirala Central can enjoy a continental breakfast, which is served each morning. If guests choose to eat at the hotel, the restaurant is open for lunch and dinner. Diagoras International Airport is less than a 20-minute drive from the Falirala. Rhodes City and Ialysos are both a short drive from the hotel.